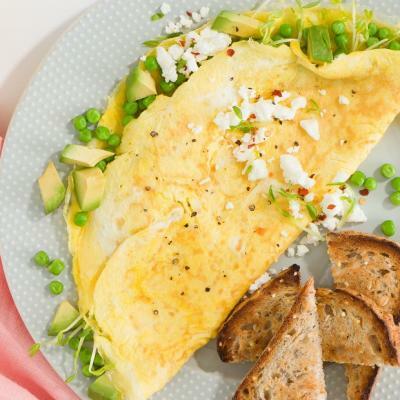 This simple omelette is a fiesta of flavours for your taste buds. In bowl, whisk together eggs, 1 tbsp (15 mL) water, salt and pepper. Set aside. Heat oil in 8-inch (20 cm) non-stick skillet set over medium heat. Add chorizo sausage; cook for 5 to 7 minutes or until browned and cooked through. Transfer to paper towel–lined plate. Wipe skillet clean with paper towel. Melt half of the butter in skillet set over medium heat; pour in half of the egg mixture. As eggs start to set around edge of skillet, gently push cooked portions toward centre of skillet using spatula. Tilt and rotate skillet to allow uncooked egg to flow into empty spaces. When eggs are almost set on surface but still look moist, sprinkle half each of the chorizo, avocado, and queso fresco over half of the omelette. Slip spatula under unfilled side; fold over onto filled half. Cook for 1 minute; slide onto plate. Repeat to make another omelette. Sprinkle with cilantro. 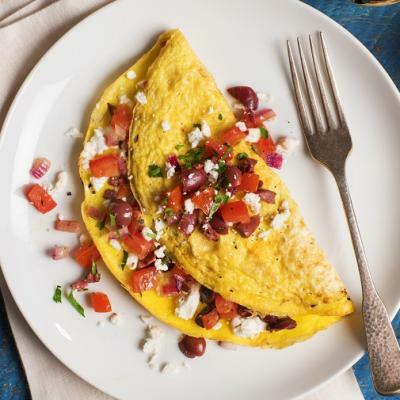 • Substitute crumbled feta cheese for queso fresco if desired. 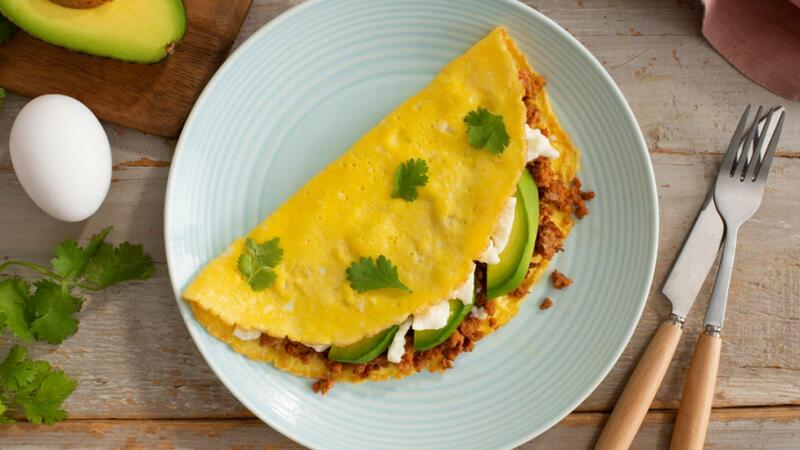 • Serve with warmed corn tortillas and lime wedges if desired. 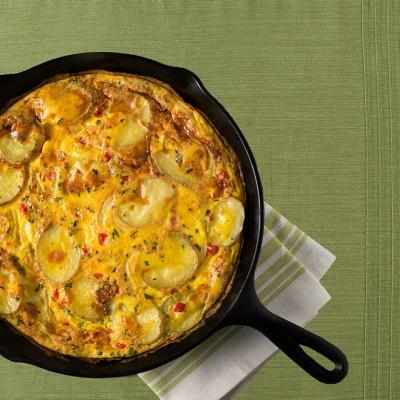 • Alternatively, coat skillet with cooking spray if desired.